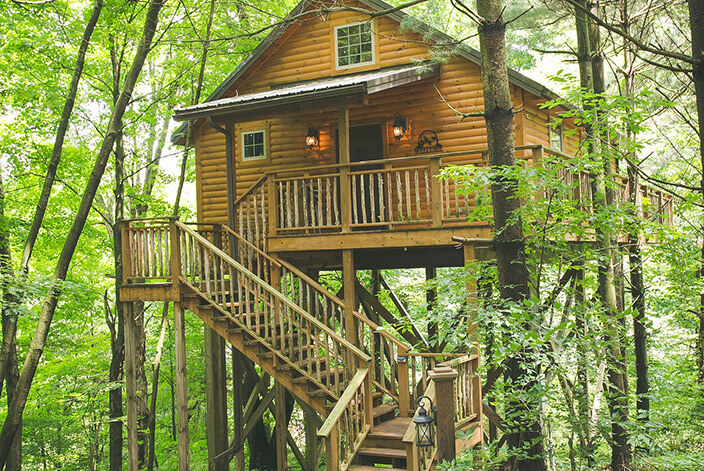 Enjoy exclusive lodging in Berlin, Ohio with the Wild Cherry Tree House which towers 22 feet in the air to offer you a unforgettable night’s sleep. 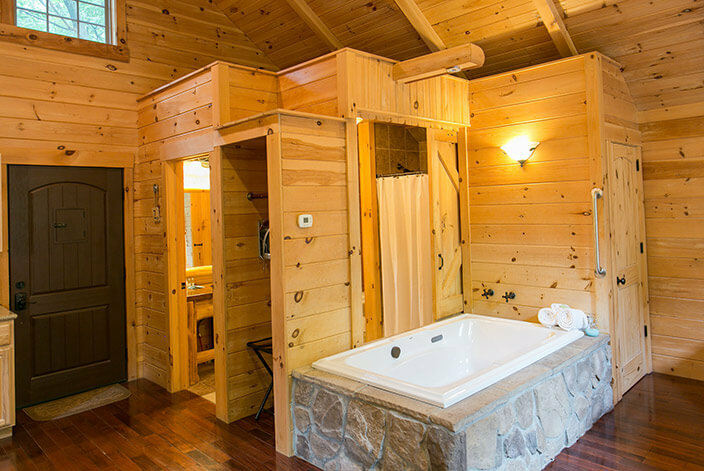 Featuring a stone jacuzzi with ceiling tub filler, stone fireplace with full living room, King sized rustic bed with amish made pillow-top mattress, fully equipped kitchen, walk-in shower, AC/Heat, cherry hardwood floors and rustic furnishings. 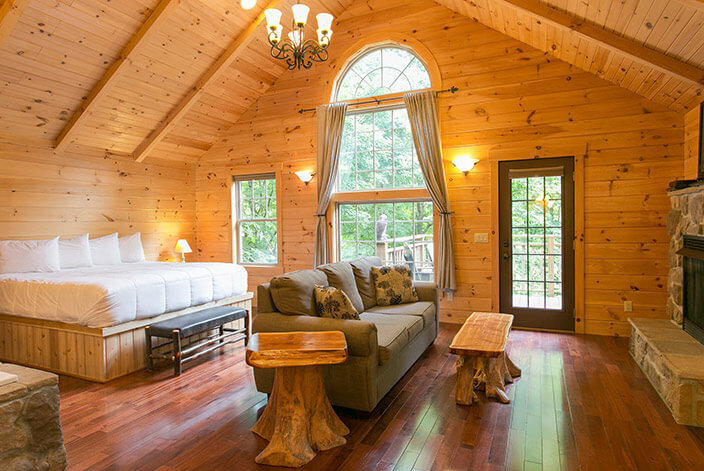 Privately tucked away in a grove of Cherry and Pine Trees, relax and refresh yourself while sitting on your deck enjoying the sight’s and sounds of the woods. 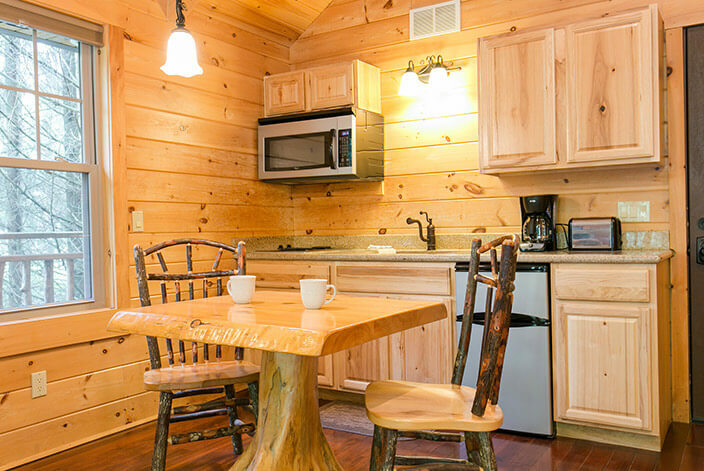 Enjoy Amish Country Ohio lodging at its best and make your escape to Pine Cove Lodging. 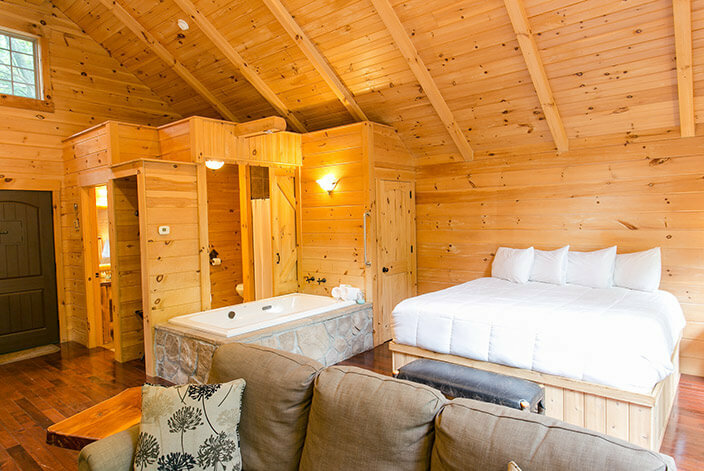 Wild Cherry Tree House is very new and had all the comforts of home- flat screen TV, king bed, fireplace, small kitchen, big tub! But the best part was sitting out on the private back deck amongst the trees! It was so nice hearing the birds, watching the squirrels, having a glass of wine and playing scrabble.